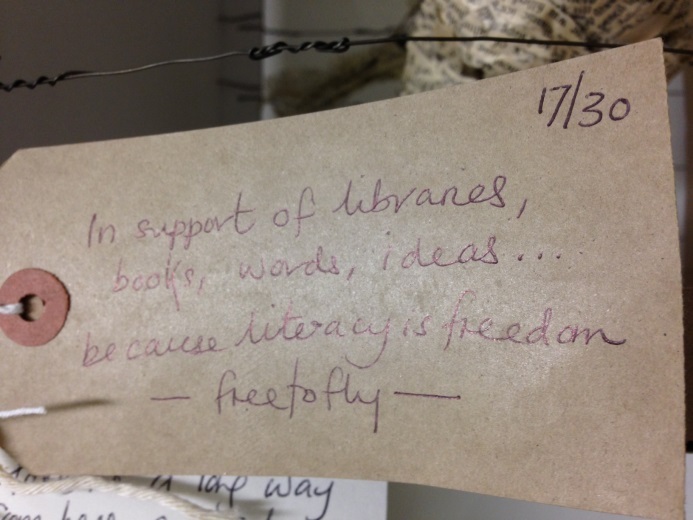 On Saturday 17th August at the Edinburgh Book Festival there was an exciting delivery of 30 blue bags each containing caged book birds with labels attached carrying instructions for where to set each bird free because “literacy is freedom”. 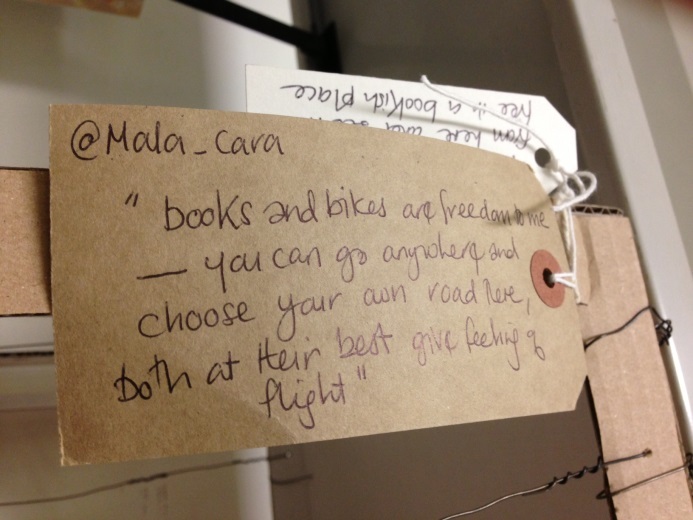 These latest sculptures are part of a series created by the mystery book sculptor [freetofly, @_freetofly_ on Twitter] who has left beautiful, intricate sculptures around Edinburgh “in support of libraries, books, words and ideas”. book birds and she brought it to the Edinburgh Campus Library yesterday where we have put it on display. There are two labels attached to the bird. 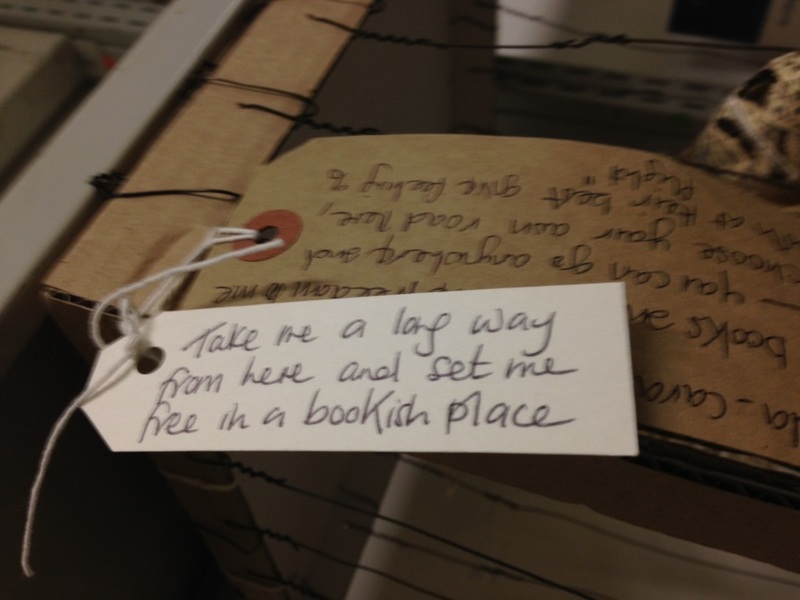 “Take me a long way from here and set me free in a bookish place”. In order to fulfill the instructions we do intend to send the bird a long way from here to a bookish place – as a University with international campuses we have many options. But in the meantime please come and have a look at it in our Edinburgh campus library for yourself.